Thanks to his top 10 finishes in both the Ohio Mid Am and US Amateur Sectional, his top 20 finish in the Ohio Am, his sixth place finish in the Metropolitan and tie for second in the MVGA Mid-Amateur Championship. 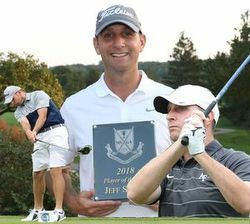 Jeff Scohy is our 2018 Player of the Year. This is Jeff's Sixth Player of the Year honor having won it previously in 2008, 12, 14, 15 & 16. • A penalty area will include both (1) all areas currently defined in the Rules as a water hazard or lateral water hazard and (2) any other areas the Committee chooses to define as penalty areas (with recommended guidelines to be provided in the guidebook). • Penalty areas may therefore include areas such as deserts, jungles, lava rock fields, etc. 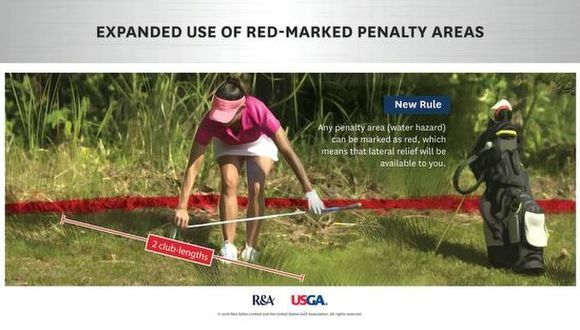 • The term “hazard” will no longer be used in the Rules. We wish to thank all of our Course Raters who are responsible for developing the USGA Course Ratings for both Scratch and Bogey Golfers, which subsequently through the mathematical calculation for rise over run develop the slope ratings we all use in our daily play. The new ratings for the six courses rated this summer will go into effect at the beginning of the next season. A team from area made up of Lynn Bailey, Sandy Hentges, Becky Rogers and Anne Holtz placed third in the scramble division out of 31 teams at the LPGA Amateur Golf Association (formally EWGA) Amateur Championship held in Florida at the Innisbrook Resort October 12-13.